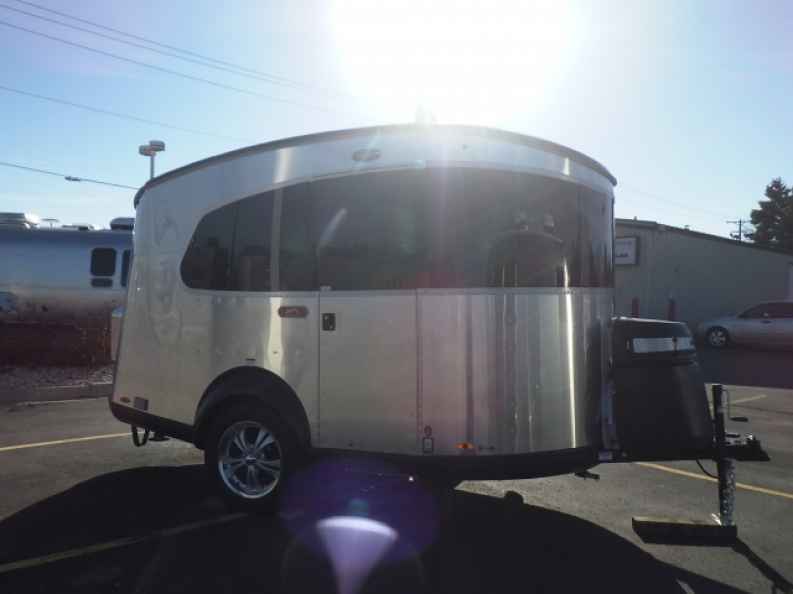 One model from Airstream sets itself apart from other trailers as it is well as apart from the rest of their lineup with the Airstream Basecamp trailer for sale at Ewald Airstream of Wisconsin. The Airstream Basecamp is the smaller, light and towable camper trailer from Airstream that is going to not sacrifice on usability. If you tend to travel alone or with a special someone, this trailer is going to be perfect for you wherever you plan to take it. 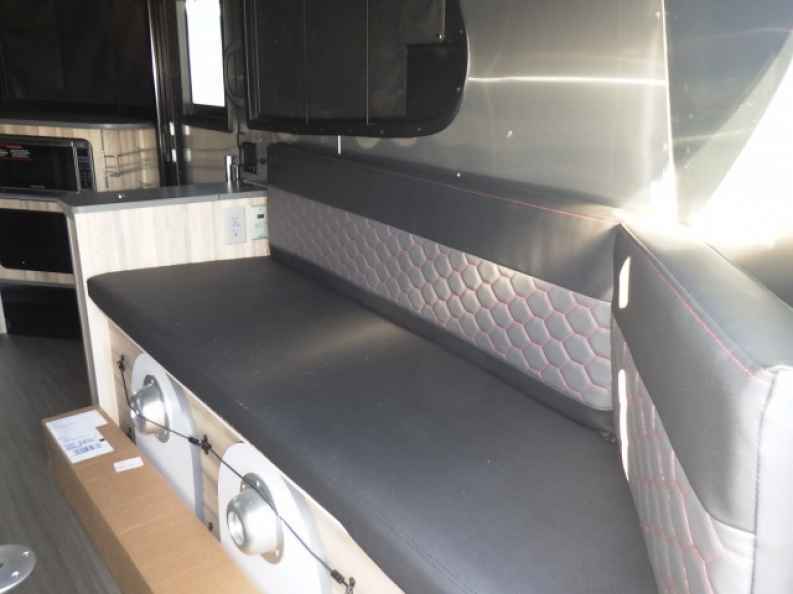 This Airstream trailer for sale is small and compact but remains in its offerings of luxurious comfort you and your other traveler desire, and Ewald Airstream of Wisconsin in Franklin, WI offers these campers for sale to you today to give you the ride and comfort you want as soon as you want it. The Airstream Basecamp travel trailer has a lot to offer to its owners in Franklin, WI and beyond. This Airstream for sale offers space for two to sleep comfortably while also allowing up to five people sit inside of it and relax, giving your other guests and travel companion a place to shelter in case of inclement weather or to just chit-chat, this Airstream is going to provide that beautiful space for you. This Airstream Basecamp is so compact and versatile that you can and tow it and go nearly anywhere you could possibly imagine, like up and down the trailers behind your 4x4 vehicle, with ease and quickly detach and reattach it to your tow hitch thanks to its size. You are sure to have an easy time getting to any of your adventurous destinations thanks to this Airstream's versatility and its light package, allowing you to experience places you have never been able to before. You can now leave the hiking with all of your tents and gear to a campsite in the past when you have the Airstream camper for sale that is going to allow you to take it straight to your site and setup your luxurious camper. This also takes away the sleeping in a hot tent and getting sweaty and uncomfortable thanks to this trailer's air conditioning available at Ewald Airstream of Wisconsin. It's time that you and your special travel companion experienced a new type of traveling and adventure that is only available in an Airstream travel trailer. Come into Ewald Airstream in Franklin, WI and see the team here at our Airstream dealership today and take a walk-through of one of our Airstream's that are going to open your eyes. The Airstream Basecamp is compact and rugged to handle any type of adventure you want to go on while allowing you a comfortable and cool place to lay your head at night after a long day of activities.